*I'll admit I've never been in charge of any Yahoo! or MSN PPC accounts working full-time at an agency, but rather a number of small personal clients. Even though I'm a bit uneasy about the competition in this space dwindling to 2, I have to admit part of me is pretty happy about not having to manage three separate PPC accounts. So with the announcement of Yahoo! Search Marketing transitioning all accounts to MSN AdCenter, I vow to devote AdCenter a fair share of my time. And what better way to start my newfound time devotion to AdCenter than with the transition itself! The actual paid traffic transition will be happening between mid and late-October. Yes, as in the month beginning tomorrow. If you use the Yahoo! Search Marketing platform and do nothing, your traffic will begin to decrease in mid-October, and continue to dwindle down to nothing by the end of October. If you use MSN AdCenter and do nothing, you might begin to notice your clicks and spend rise in mid-October (we'll discuss by how much a bit later) as the old Yahoo! traffic is served by AdCenter ads. So check on those budgets! The folks at Yahoo! and MSN have put together a program that aids in copying your Yahoo! data to AdCenter. We'll dive into what this entails now. I highly recommend making this your first stop in the transition. This guide is different than the Feature Comparison Guide and the Self-Service Advertiser Checklist PDFs that were mentioned in the official Yahoo! blog post about the transition, and contains some important actions that should be taken BEFORE going through with the transition. For those of you planning to push some of your Yahoo! Search Marketing campaigns over to MSN AdCenter, your first step when you login to YSM is to decide how much hand-holding you'd like from the two programs. This is an important decision, because there is no turning back. You are committed to whichever option you choose. I specifically saved this account to capture screenshots for this post. Nice Timing, Yahoo!! Yahoo! 's minimum bid was $0.01 (£ 0.05 in the UK), and MSN's is $0.05 (£ 0.05 in the UK). When the transition reaches you, check for details on your currency. As you make your way through the transition tool, you will be prompted every time a bid needs to be changed to reach the new minimum. Yahoo! (somewhat annoyingly) always used "standard" and "advanced" match, which essentially equates to "exact" and "broad" match, respectively, in most other PPC platforms. The transition tool will automatically switch all "standard" keywords to "exact" match, and "advanced" to "broad" match. In addition, AdCenter offers "phrase" match, much like AdWords and other PPC platforms. Yahoo! had a feature that allowed users to set an account daily budget on top of individual campaign budgets. Much like AdWords, AdCenter does not have an account-wide budget feature per se, because your account daily spending limit is really just the sum of your campaign daily budgets. Keep a close eye on your campaign budgets over the next few weeks. With the traffic merger, you could be missing out on a bunch of good traffic, or spending dramatically more money than you would have liked. When you transition to adCenter, we will apply all of the Excluded Words that you had previously set in Yahoo! to the corresponding lowest level within your campaigns on adCenter. Advertisers that make use of excluded/negative keywords should read over the differences in the two following the transition. Yahoo! allowed for some monster titles of up to 70 characters. Unfortunately, AdCenter uses the industry standard 25 characters, so many of your YSM ad titles will need a rewrite. Ad titles that are transferred over with over 25 characters will be paused or disapproved until shortened. Some of the more advanced features like dynamic text insertion in ads and geo-targeting will require some tweaks, so be sure to review any of these after the transition. Also, if you're a YSM user switching to AdCenter, don't forget to add the AdCenter conversion code to the appropriate page on your site. This option will simply link your current YSM account to your current AdCenter account. This includes opening a new sub-account within your AdCenter account and transferring over your basic information. If you do not yet have an AdCenter account, you'll be prompted to create one, and your YSM account information will transfer to your newly created account. This option does not include any transferring of campaigns, ad groups, or keywords. The expected next step would be to start to build out new campaigns manually, or to import campaigns from a spreadsheet into the AdCenter import tool. Pretty self-explanatory here. Remember, you are locked into any option that you choose, so be sure you really don't need help before doing this. Your campaigns will be downloadable from Yahoo! afterward, no matter which option you choose. Ok, so we understand that our AdCenter account is about to take on more traffic, but how much? The Yahoo! 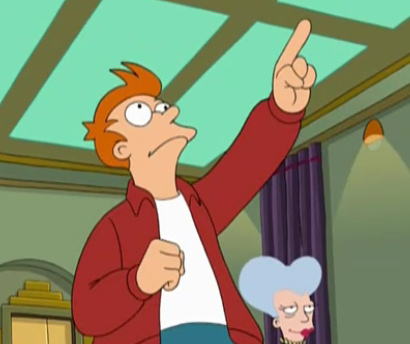 and AdCenter team point out that the alliance will expand advertisers' reach to 159 million Americans and 15 million Canadians, but if you're like me, you could easily replace "million" with "kajillion" and it would mean the same (which reminds me of my favorite Futurama soundbite). Its hard to know exactly how much your account will change exactly, but your best bet is to review your analytics over the past few weeks to get a feel for how much traffic each search engine is sending. If you currently use both AdCenter and YSM, it's a pretty safe bet that the visitors and ad spend will combine into one, though average CPC may vary across the networks in different industries. Got Futurama for the soundbite. Gormogons for the Indians Jones pic.